Discover how customers really rate your service. Get the valuable insights you need to improve their experience. Customers will most likely change their opinion of your organisation after every call with an agent or text chat session. Do they like your brand more as a result — or has it led to disappointment? Carefully-worded after sales surveys can tease out the vital answers you need to take action. But how can you make the feedback process fast and effortless for customers? Customers will take part in a survey if it’s quick and easy. With EckohSURVEY, you can achieve this. Your customers can easily choose, access and participate in your survey or poll. To improve access to surveys and increase feedback, you can offer customers the chance to participate at the end of their call. EckohSURVEY is an automated solution that can be telephone, web or mobile based. To complete a survey at the end of a conversation, callers can be either be transferred to an IVR system by the contact centre agent, sent a unique URL by email to a web based survey, or sent an SMS to complete a text based survey or a simple feedback poll. EckohSURVEY can also be used in an App form for agents in the field. We first record and test your questions on our IVR system, making any recommendations for improvement before your go live date. Before a caller is transferred from the contact centre, they are asked by the agent or voice recording if they would like to participate in a survey. If they agree, they can be transferred to the EckohSURVEY IVR system —or request a call back from the IVR to complete the survey at a more convenient time. Depending on how your survey is configured, we can provide unique URLs allowing respondents to complete the survey in their own time. Invites can be sent via SMS or email with click-through and response rates being recorded in bespoke ‘campaigns’. The mobile app option is ideal for agents in the field where data connections are not guaranteed. 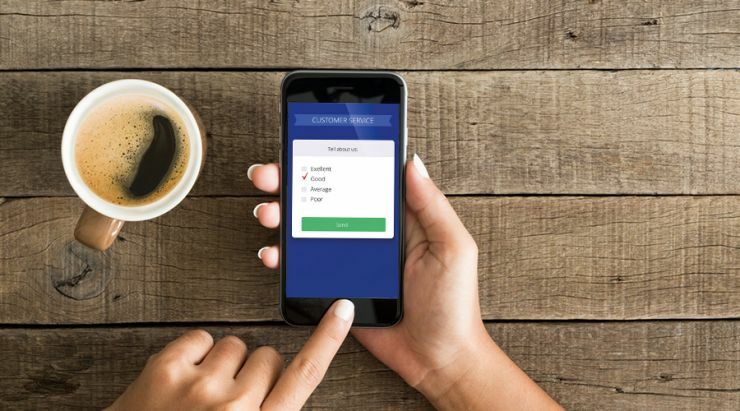 The app uses secure data storage and authentication allowing agents to carry out multiple surveys on iPhone, iPad and Android devices with the options of recording audio and taking images. Survey responses can be synced with the IVR and web responses over a data connection in real-time, or results can be uploaded via WiFi if a data connection unavailable in the field. Results from all channels will measure the drop-out rates and gain real-time answers providing a more accurate account of customer’s feedback and thoughts, provided in summary reports or as raw data extracts. Our solution gives you real-time monitoring and comprehensive management information reporting. The web, mobile web and app solutions can be appropriately branded for your business or on a per-survey basis. Ipsos MORI is one of the largest and best known research companies in the UK. They use EckohSURVEY to allow their clients to conduct caller satisfaction surveys immediately after a call by the agent simply transferring them into the service. EckohSURVEY is easily replicated across all of Ipsos MORI’s clients and they have found a 15% uplift when compared to the system it previously replaced.